Where Fantasy Meets Reality with Christie Palmer: Turning Failure around. When I decided to become an author, when I wrote my first book (still sitting unpublished BTW). I never imagined how impossibly hard the as-fault of failure would feel when you hit it face first. Especially after climbing atop that self important pedestal you climb on when writing. Now don't get me wrong, and please comment below if I am wrong. But lets all be real who hasn't self righteously climbed atop the pedestal of 'I am the god of novel writing all must kneel before me'???? At one point in their writing career? I know I have, and I know I have fallen from that pedestal. I have been pushed from said pedestal, and I have tripped off, slipped off, and generally been kicked off by my ignorance. 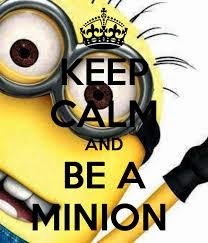 best I am mire minion hoping in vain some little recognition from the greats that have come before me and those on their to greatness as they pass me by. Again don't get me wrong, I am not trying for sympathy when I tell you this. What I am saying is failure, although it is said is not an option, it is however, inevitable. It is what you do with that failure, do you lay face first on the cement breathing in the stench of the failure. Or do you get up and look around at what brought you to this point in your life. I bet you would be surprised by how many people are there with you. Not because they are failures too, but because they are learning something from their situations. Because guess what? Failure doesn't have to be a failure unless you lay there face first eyes downcast refusing to look anywhere but at the fact you have failed. And trust me I have lain in that spot before, for years at a time. My weight is a great example, and publishing my books is another. I sat on the fence about self publishing for eight months before finally going 'Indie' and that was one of the best decisions I ever made. But I waited those eight months because of a failure in a writing contest, where I put way to much stock into what one...one judge said. And lately I have suffered from writers block because of a bad review, one bad review. But with my head down staring at the as-fault of failure the heights of success completely un-attainable. Why? Because I am starring at the FREAKING ground! So having said all that, picking yourself after failure isn't easy. It isn't pretty, and it sure the hell isn't something people like to to admit they do. It is humiliating, but as mentioned earlier a necessary evil to move forward. Do you think the great's in the world didn't fail? Because they did, they even had EPIC fails. Nothing that comes to mind right now ;). But they did, and so will you and I. And its okay, so kiss the cement of failure promise to be back. Then stand up and look around because your not alone. Don't look up, that height of success is way to far up at the moment. Right now you need to enjoy the smaller things, and take a couple of deep breaths and know that it's okay to fail. The most important part of failure is to learn what you did wrong, learn what needs to be done right. 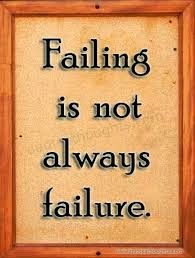 Take away something from the failure that makes it not a failure but a learning experience. 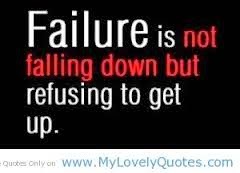 Let me know below how you have turned failure around... and made it into a learning experience. Have you kissed the cement? ?